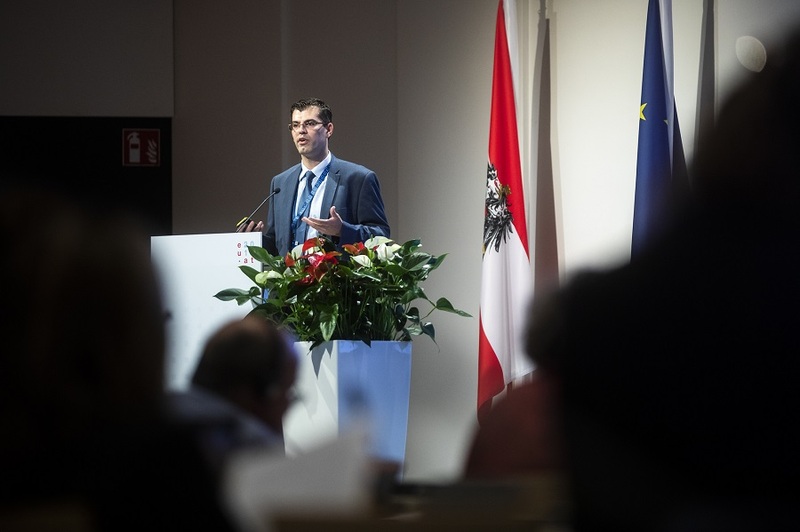 Such challenges for employment, decent working conditions, adequate social protection and lifelong learning policies due to the increasing digitalisation of economic activities formed the core of the debate at the Austrian EU Presidency conference on digitalisation of work in Vienna on 19 September. The conference was attended by representatives from the 28 EU Member States, the EFTA countries and experts from European institutions and civil society. The conference was opened by Austrian Federal Minister for Labour, Social Affairs, Health and Consumer Protection Beate Hartinger-Klein and by European Commission’s Barbara Kaffmann. Both stressed the need for technology and digitalisation to benefit people by shaping the environment in which it operates. They raised concerns about platform workers’ unclear employment status with respect to their social protection, calling for EU Member States to take action based on the principles enshrined in the European pillar of social rights. They highlighted the need to promote learning through examples of best practice. Although the European Commission’s JRC/COLLEEM survey, presented at the conference, revealed that online platform work is performed as a core activity by about 2% of the population in 14 EU countries, nearly 10% have engaged at some point with such new forms of digital work. The Online labour index of the Oxford University Internet Institute has also revealed a significantly upward trend in the use of work mediated by online platforms in the past two years. Cedefop expert Konstantinos Pouliakas presented first insights from the agency’s Crowd Learn study – ‘Skills formation and skills matching in online platform work’ – a novel analysis exploring how crowdworkers acquire, develop and recognise their skills and what learning practices they rely on. The project, supported by key experts from the Oxford University Internet Institute and the University of West London, will address an important gap in knowledge by interviewing about 80 crowdworkers and 30 major stakeholders (platform owners and clients, learning providers, policy-makers) and carrying out an online survey of about 1 200 crowdworkers from five major online labour platforms. The final results will be published in autumn 2019. First research insights have revealed a ‘missing training market’ in the platform economy, with significant discriminatory or self-exclusion practices preventing some individuals from establishing a foothold in the market. However, a majority of crowdworkers, in both online freelancing and microwork, engage in significant self-regulated learning activities. Some of the most important skills required by crowdworkers, in addition to technical (e.g. digital literacy, command of English), include soft and entrepreneurial skills, such as knowledge of platform etiquette, boundary management, self-branding, self-efficacy, self-monitoring/evaluation and risk tolerance. Study findings will feed into an assessment of how existing EU and national policies on initial and continuing vocational education and training might be revised to address the skill needs and gaps of individuals engaging in digitally-enabled forms of work. The study forms a cornerstone of Cedefop’s new ‘Digitalisation and the future of work’ thematic activity.